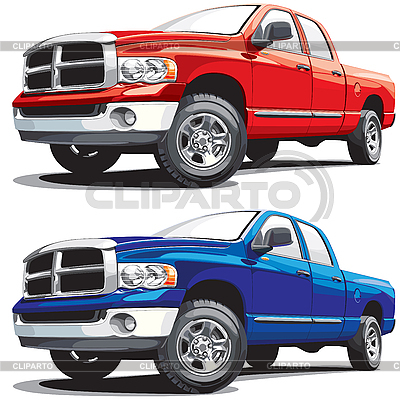 Detailed vectorial image of american modern pickup, executed in two variants of color. Every pickup is in separate layer. No blends and gradients.